India doesn’t have much of a history with popular computer games, unlike the U.S. or Japan. But now one of the industry’s kill-or-be-killed titles has become a smash hit -- and the backlash from the country’s traditionalists is ferocious. PlayerUnknown’s Battlegrounds is a Hunger Games-style competition where 100 players face off with machine guns and assault rifles until only one is left standing. After China’s Tencent Holdings Ltd. introduced a mobile version of the death match that’s free to play, it has become the most popular smartphone game in the world, with enthusiasts from the U.S. to Russia to Malaysia. Nowhere has resistance to the game been quite like India. Multiple cities have banned PUBG, as it’s known, and police in Western India arrested 10 university students for playing. The national child rights commission has recommended barring the game for its violent nature. Computer games have outraged parents and politicians for at least 20 years, since Grand Theft Auto first let players deal drugs, pimp out prostitutes and kill off strangers to steal their cars. Just last year, China went through its most serious crackdown on games, freezing approval of new titles and stepping up scrutiny of addiction and adverse health affects. What’s different about India is the speed with which the country has landed in the strange digital world of no laws or morals. It skipped two decades of debate and adjustment, blowing into the modern gaming era in a matter of months. Rural communities that never had PCs or game consoles got smartphones in recent years -- and wireless service just became affordable for pretty much everyone after a price war last year. With half a billion internet users looking for entertainment, PUBG has set off a frenzy. A student competition in the southern city of Hyderabad received 250,000 registrations from more than 1,000 colleges. One team walked away with a 1.5 million rupee ($22,000) prize as the top PUBG players, just days before this month’s arrests. Aryaman Joshi, 13, has played PUBG for a few hours each day and says all his friends play too. "It’s a bit violent and there’s a lot of shooting so boys like me like it," he said. His mother, Gulshan Walia, says she wants to take a realistic approach to Aryaman’s game playing. That kind of demand is giving a hint at India’s potential as a gaming market. It’s tiny today, generating a minuscule $290 million in revenue. But it’s already the world’s second-largest smartphone market, after China, and the fastest-growing. 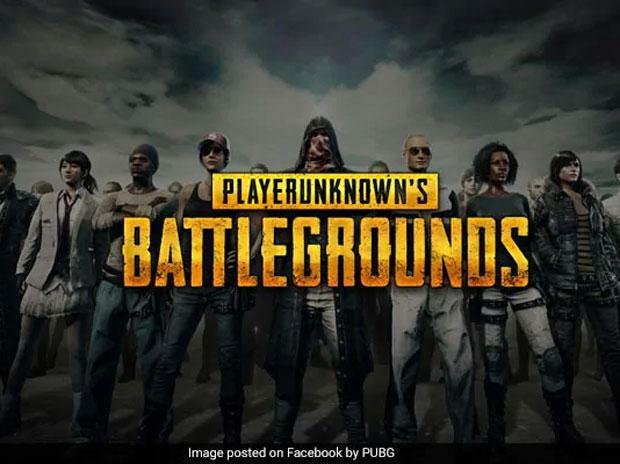 “PUBG has made the online gaming market soar and demonstrated that India is a very attractive market,” said Lokesh Suji, the Gurgaon-based head of the Esports Federation of India. At a public meeting last month, a concerned mother complained to Prime Minister Narendra Modi about her son’s addiction to mobile games. “Is that the PUBG one?” Modi shot back. One 11-year-old even filed a public interest lawsuit in a Mumbai court seeking a ban on the game. South Korea’s Bluehole Inc., which made the original PUBG for PCs and then partnered with Tencent on the mobile version, has taken a cautious approach. The company said it was looking at the legal basis of the bans in various cities and will confer with authorities to find a solution. “We are working on the introduction of a healthy gameplay system in India to promote balanced, responsible gaming, including limiting play time for under-aged players,” the company said. Because gaming is so new in India, there are no regulatory policies in place. In contrast, Tencent currently bans players in China under 13 from playing PUBG and imposes restrictions such as real-name registrations. In Germany, players under 16 are restricted. A clinic for breaking digital addictions, run by the country’s National Institute of Mental Health and Neuro Sciences in Bangalore, is recording several PUBG addiction cases every week. An 11-year-old PUBG player walked into the clinic recently with his parents who lamented that he wanted to quit school to become a professional PUBG gamer.